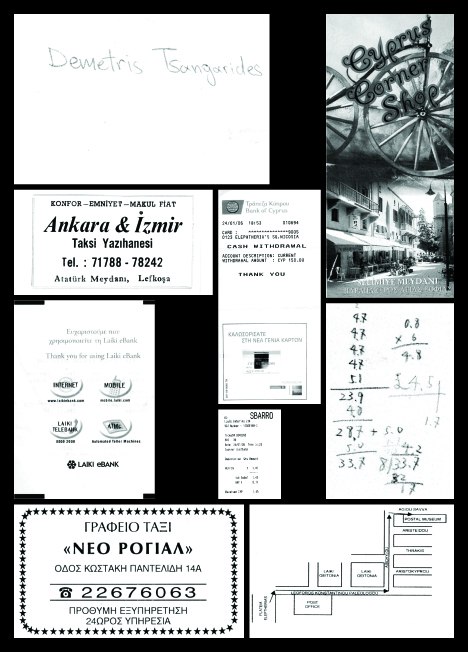 In 2006, the Werkplaats Typografie went to Nicosia in Cyprus to work on a independently published book based on the upcoming Manifesta 6. We spent a week there to collect material about the city and the biennial. I was one of seven students involved in the project. 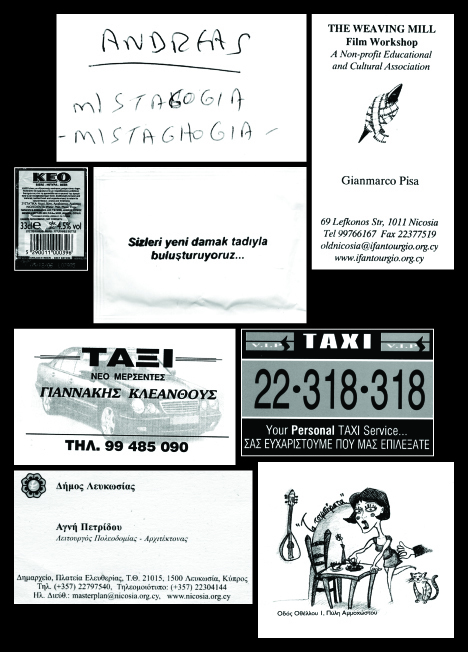 The idea was to make an alternative travel guide for Nicosia aimed at visitors to Manifesta. Each student worked on their own project or chapter. 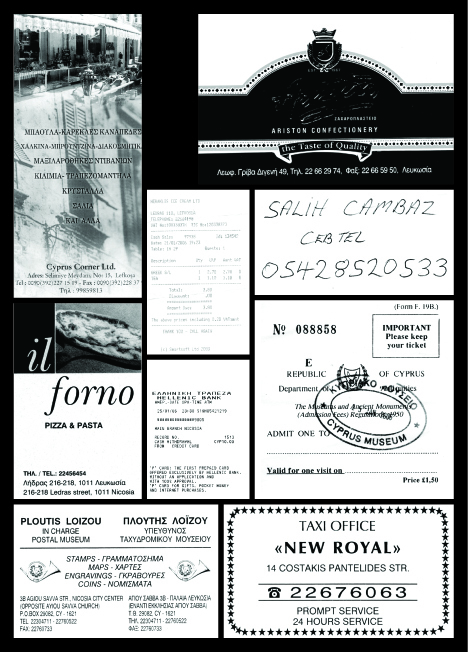 We had gotten quite far when, a few weeks before going to print, we heard that Manifesta wasn’t going to go through in Nicosia. 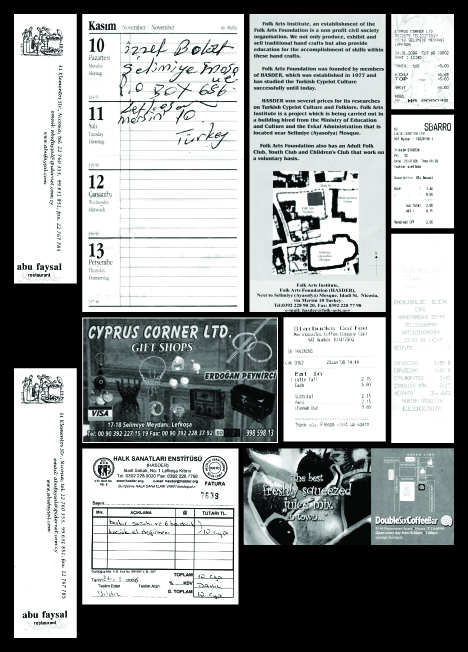 So instead we printed the book ‘Nicosia This Week (An Unofficial Guide to the Biennial that Never Was) (http://www NULL.amazon NULL.com/Nicosia-This-Week-Unofficial-Biennial/dp/9086900526)‘ and a lot of work was therefore wasted. 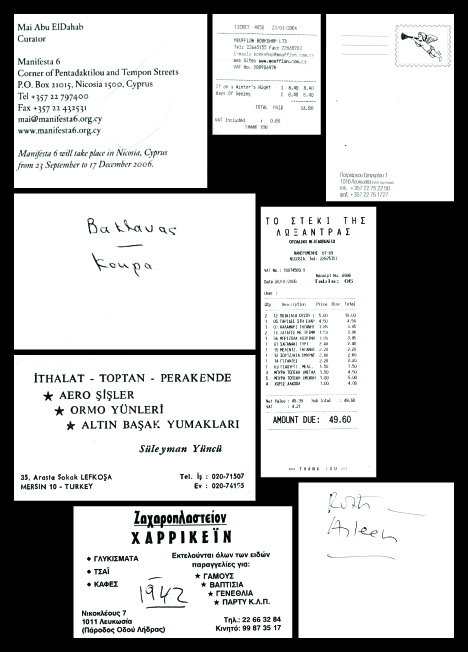 But I’m happy to show my ‘Ephemera’ contribution here. 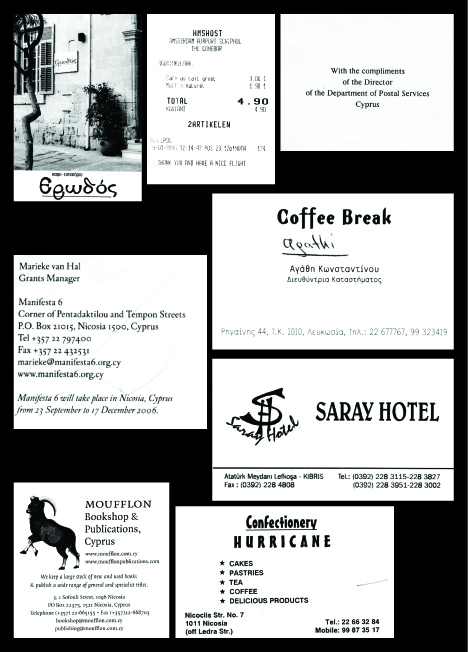 Before leaving for Nicosia I asked my classmates to keep the addresses — in the form of business cards, flyers, receipts, etc — of the places or facilities they liked. 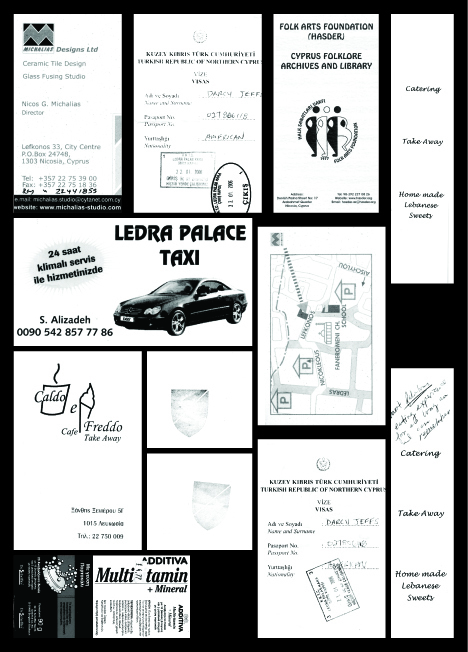 These eight pages of tips are the result. 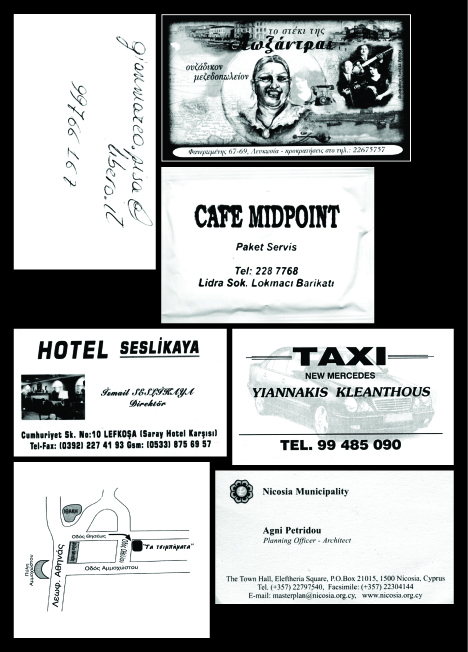 Please note that the recto as well as the verso of many of these cards are shown. This might be less obvious here than it would have been in print.